Article: Jay Hardway Has An Extraordinary “Jay Hardway And Friends” Event At Amsterdam Dance Event! What do you get when you have some of the most profound, internationally acclaimed DJs together – you get it at Jay Hardway’s “Jay Hardway And Friends” event at the Amsterdam Dance Event on October 18, 2015. The Amsterdam Dance Event brought together the world’s greatest DJs and at the “Jay Hardway And Friends” event, Jay Hardway brought his friends, Julian Jordan, Dubvision, Apster, Kenneth G, Kill The Buzz, Mighty Fools, Thomas Newson, Tony Junior, and Sandro Silva together to close out the Amsterdam Dance Event. Needless to say, with all of these legendary DJs together, including Martin Garrix and FireBeatz who joined in on the fun, Jay Hardway’s “Jay Hardway And Friends” event made EDM history and was truly an unforgettable night. All of these stupendous DJs’ performances were breathtaking and life-changing. Jay Hardway shared the sensational photo above through his Twitter account and wrote, “Yesterday at Nova Amsterdam! 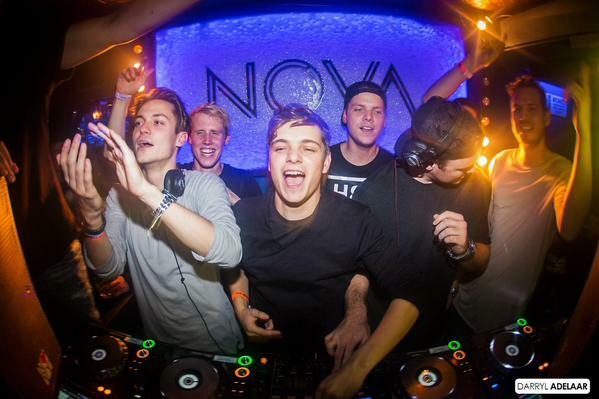 w/ @JulianJordan @MartinGarrix @DubVisionMusic @Firebeatz“. The extraordinary, prolific DJ, Jay Hardway also tweeted, “WOW last night at Nova was INSANE!! Thanks to everyone who was a part of it! Pictures coming very soon”. Previous Article: Martin Garrix Leaves The World In Awe With His Performances In Amsterdam! Next Article: Dubvision Gives A Preview To Their New Track “Yesterday Is Gone”! Listen Here!